What does a Couple's Sleeping Position Say about their Relationship? Following a study of the positions in which couples sleep, Corrine Sweet, a relationship expert spoke to HuffPo, and is of the opinion that a couple's sleeping habits can reveal stresses and strains within their relationship. "Couples fall into habitual ways of sleeping together that suits their personalities and personal preferences. These are negotiated at the outset, so if something changes in how they sleep together, this can reflect a change in their relationship and cause concern for the other partner. David Oyelowo is a British actor of Nigerian ancestry. I've seen in several movies including Last King of Scotland, Rise of the Planet of the Apes and Jack Reacher. I was reading about him the other day and discovered that he is always on the red carpet with his wife of 15 years, with whom he has four children. He never misses taking her along for events. She is an actor also. So sweet. 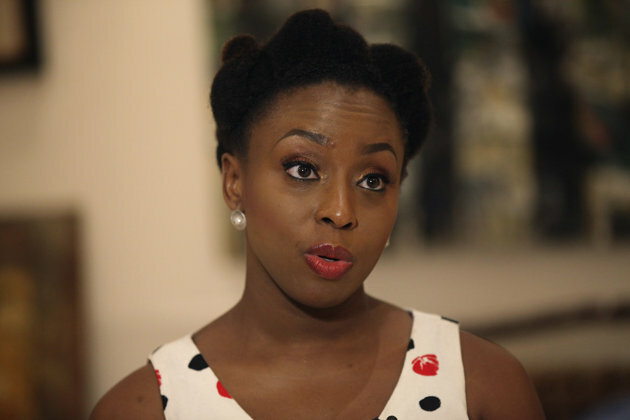 Adichie describes herself as looking "at the world through Nigerian eyes," but she doesn't hold back on criticizing its culture that fosters widespread government corruption. Or what she perceives as the excessive, neutered politeness of "political-correct language" in the U.S.